In Part 2 of my 2019 SHOT Show After Action Report, I covered a lot of new rimfire related products. During my expedition of the SHOT Show floor in 2019, I did come across a few new optics related products as well. Aimpoint announced the Acro P-1 in late 2018, but this is the first time the “general public” has been able to see it. The Acro P-1 is a fully enclosed red dot sight designed for pistol use. The size and weight are about two-thirds that of a Micro T-2, but the enclosed box design makes it bigger in area than a Trijicon RMR. The battery can be replaced without removing the sight from the slide. The Acro P-1 carries the Aimpoint lineage in terms of the specifications: hard anodized aluminum body, NVD compatible, long battery life (1,5000h of continuous use at pos. 6, more than 6 months at pos. 7) submersible to 25 meters, etc. One of the most obvious factors with the Aimpoint Acro P-1 is mounting. It uses specific mounting plates that will need to be catered to each pistol. 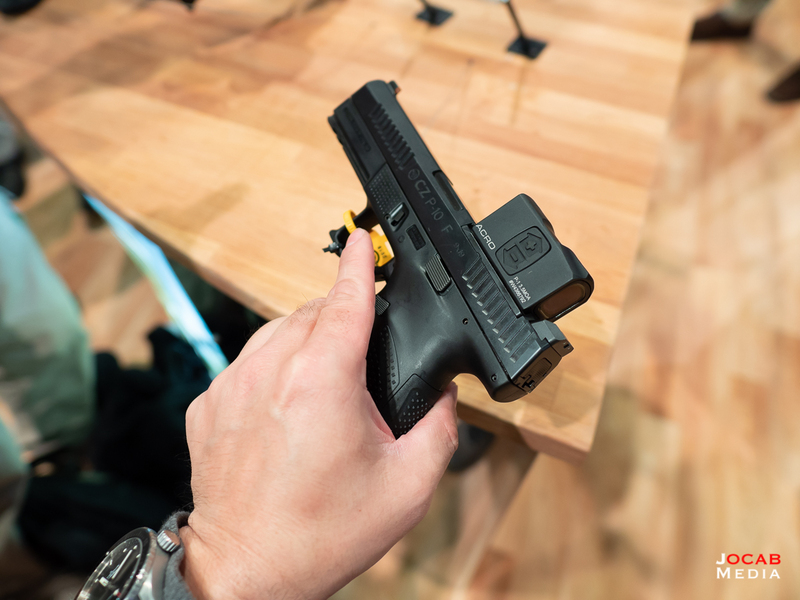 Aimpoint will make one compatible with the Glock MOS, but for those of with standard slides will need to get a slide milled for the Acro P-1 system. 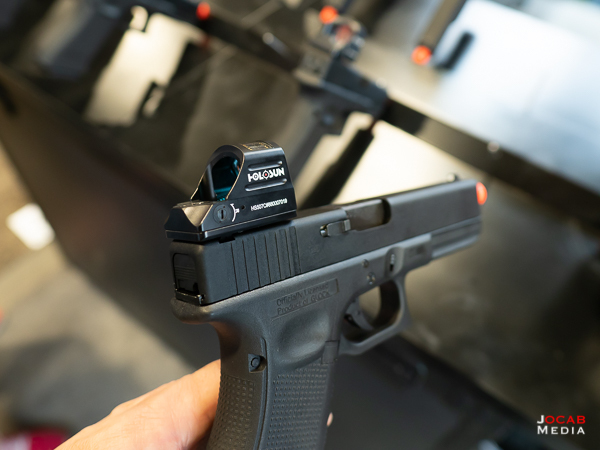 The reason why I did like the Trijicon RMR on the Glock is that cowitnessing iron sights was reasonably easy due to the lower profile of the RMR. 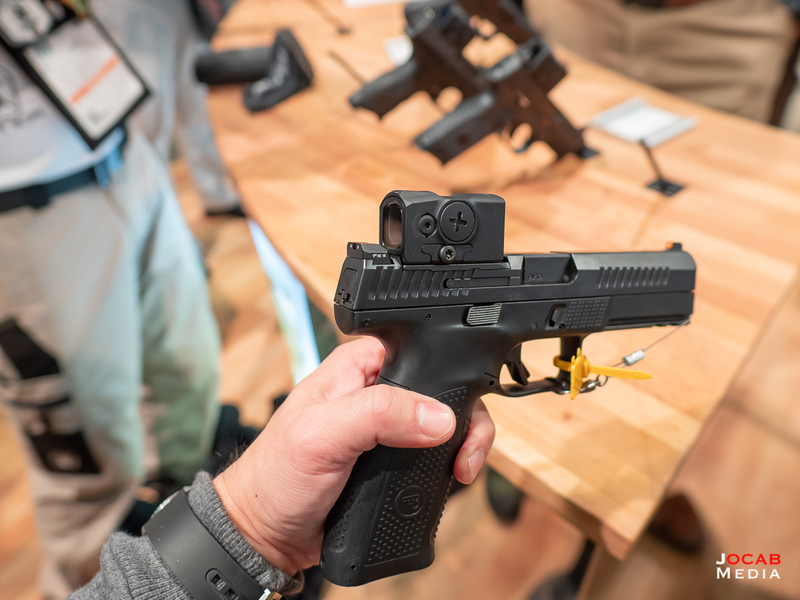 It appears that the Acro P-1 sits taller on the slide (like the Delta Point Pro) and will most likely require very tall suppressor-style front sights to get a cowitness. The MSRP is $660 with a slated release of April 2019. While the Acro P-1 looks unattractive in terms of aesthetics, I am actually very interested in trying one on a pistol. I will be investigating how much it will cost to get one of these on a non-MOS Glock 19. Vortex Optics did not really have much new product announced short of their new scope rings and some new reticles. 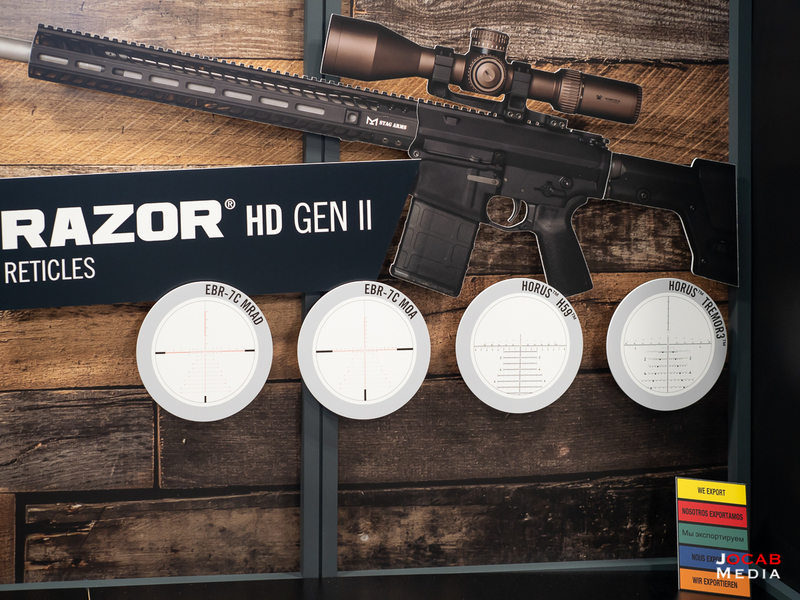 Vortex did add the EBR-7C reticle from the Razor HD AMG to the Razor HD Gen II lineup, as well as licensing the Horus H59 and TREMOR3 reticles. 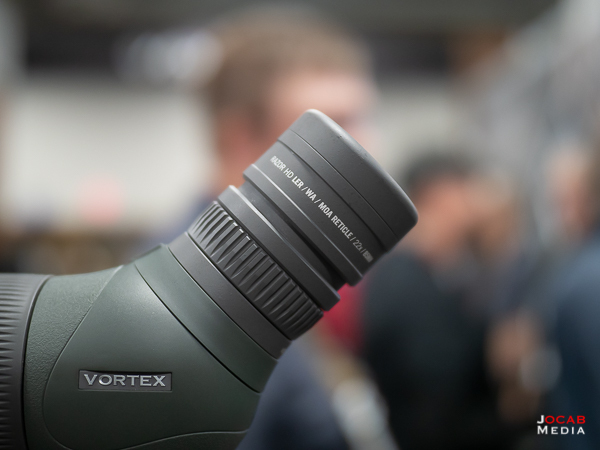 But what caught my eye is the new eyepiece Vortex Optics has for their Razor HD 85mm spotting scope. 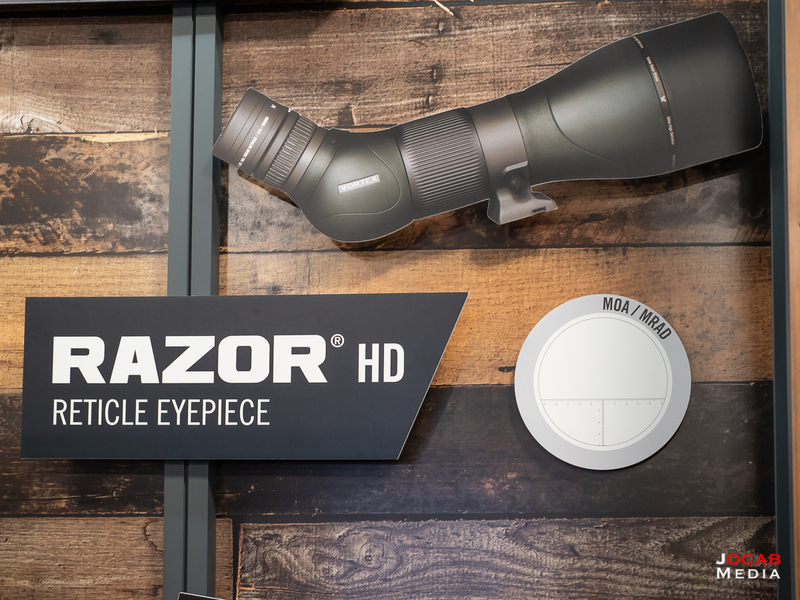 While most people are going to be excited just to get a ranging reticle in a Vortex Optics Razor HD spotting scope, if you look closer at the actual eyepiece, it gets far more attractive to me. The ranging reticle eyepiece is a Long Eye Relief, Wide Angle, 22x fixed magnification eyepiece. While I would have preferred a 25x magnification for this type of eyepiece, this is nearly perfect for how I use a spotting scope. As a former High Power Service Rifle competitive shooter, I use a Kowa 821M spotting scope with the 27x LER eyepiece. This lets me position my spotting scope near me in prone (or sitting or standing) and do a quick glance over while in position to quickly check mirage (or see the target spotting and scoring discs). I personally have been looking to refresh my spotting scope. While my Kowa 821M is still a good spotting scope, I would like to get one with some newer glass (and coatings) and a Razor HD 85mm with this new 22x LER, WA, ranging reticle eyepiece looks quite appealing. The big problem for me is that Vortex Optics is not going to package the Razor HD spotting scope with the 22x LER/WA/reticle eyepiece. Right now, the plans are to only sell the 22x LER/WA/reticle eyepiece as an add-on accessory, which means you have to buy the complete Razor HD 85mm spotting scope with the 27-60x zoom eyepiece. 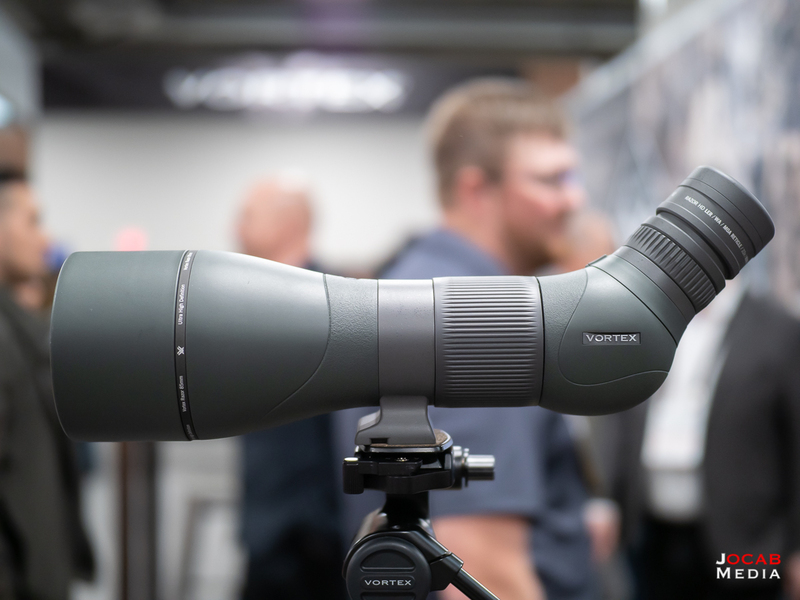 I voiced my concerns on this with the Vortex Optics representatives that they should consider selling the Razor HD 85mm spotting scope either as a body only, or at least pair it with the 22x LER/WA/reticle eyepiece without the 27-60x zoom eyepiece. The MSRP for the new 22x eyepiece is $499, but you can find it on reputable retailer sites for around $370. Since the Vortex Optics Razor HD 85mm spotting scope retails for around $1500, jumping to this scope and eyepiece will be nearly $1900 (assuming you did not already own the current Razor HD 85mm spotting scope). Brownells always has a lot of activity at their booth during SHOT Show. While a long time supplier of firearms parts and tools, Brownells has expanded to be come it’s own manufacturer (e.g. firearms) and media company. One interesting item that I saw at the Brownells booth during the 2019 SHOT Show is their new Match Precision Optics (MPO) rifle scopes. As far as the N-OMR reticle, this stands for Non-Obscuring Milling Reticle. The reticle is basically a tree style reticle with hash marks (not dots) and an open center crosshair with a fine dot. I could not really gauge the glass indoors with the sub-optimal lighting in the Sands Expo convention center, but it looked average. They eye box seemed respectable at maximum magnification. The turrets were very tactile. 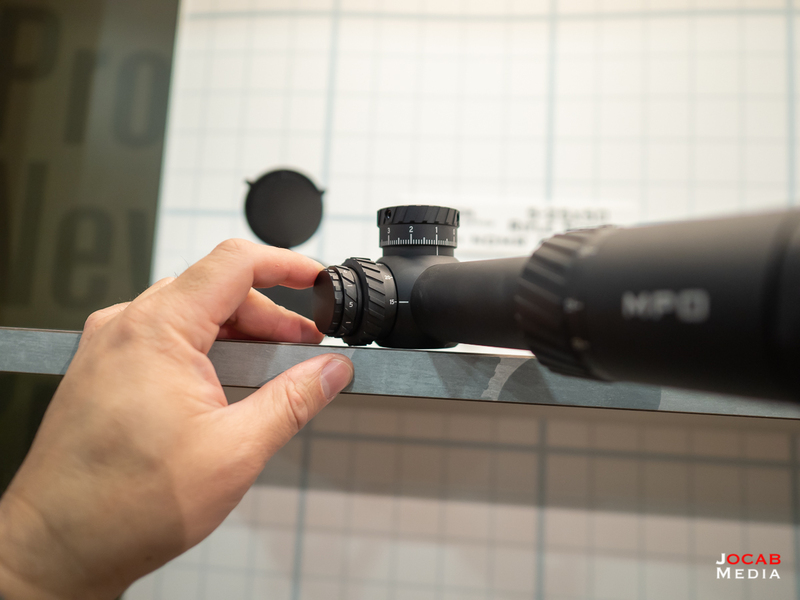 The Brownells MPO rifle scope is made in Japan. There will always be critics on any scope not made in the United States or Germany, but Japan (as well as the Philippines) has been known to produce decent glass. One feature that caught my eye is that the parallax adjustment goes down to 15 yards. This is quite interesting in that it has some flexibility for rimfire shooters who will benefit from very close distance target focusing. 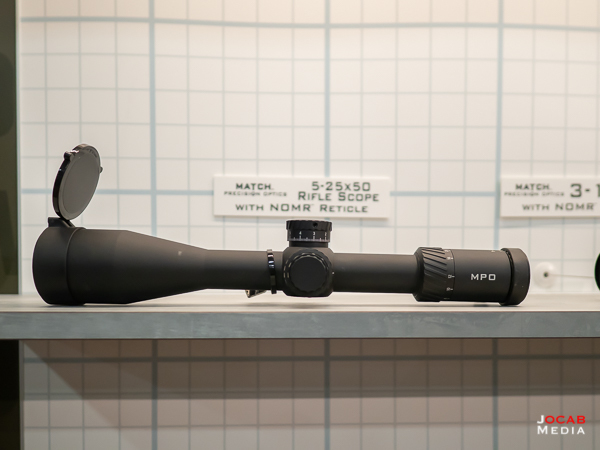 The MSRP for both the 3-18x and the 5-25x are $999.99 and this looks to be a direct competitor against scopes such as the Vortex Optics Viper PST Gen 2. 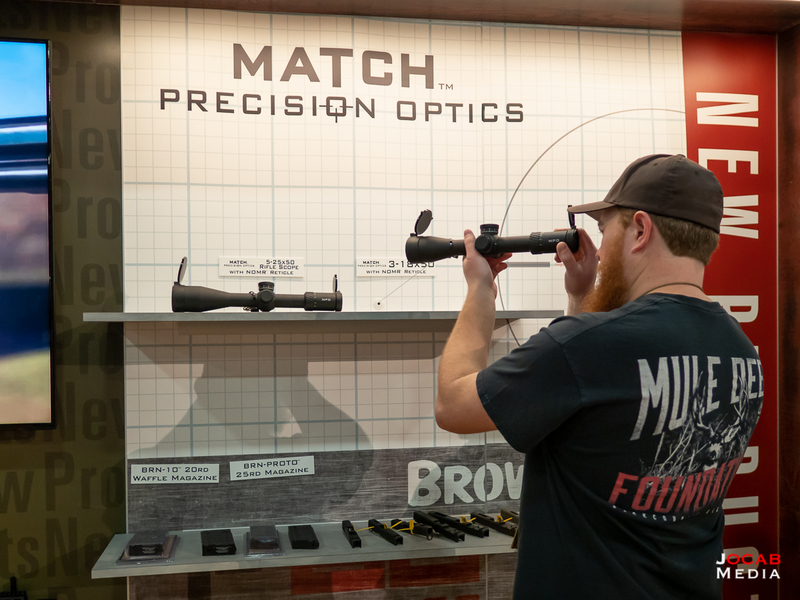 Given that Brownells has a 100% lifetime satisfaction guarantee on all products they sell (not just Brownells branded products), the Brownells Match Precision Optics rifle scope looks like it will be a contender in the low-mid range rifle scope arena. Release date is slated for Spring of 2019 (approximately Q2). 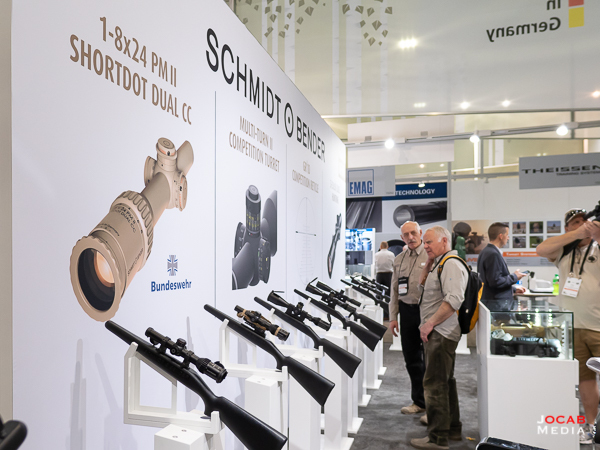 While technically not new to 2019 (these debuted at SHOT 2018), I did handle the Schmidt and Bender 1-8x24mm PM II Shortdot Dual CC. 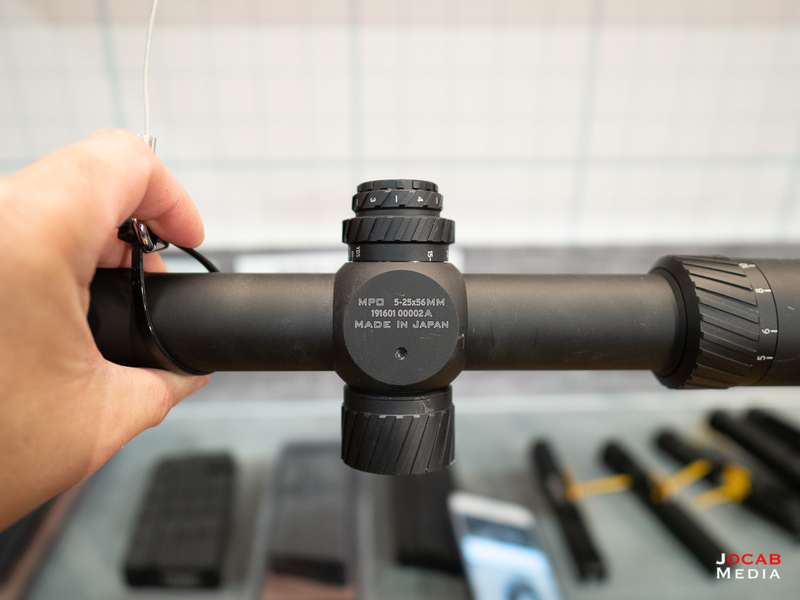 The 1-8x rifle optic arena is very saturated because this magnification range offers a lot of versatility for carbine, field, and service rifle use. But the S&B 1-8×24 PM II Shortdot Dual CC is arguably the cream of the crop in terms of quality and design. The key features of the Shortdot Dual CC is the dual reticle design. 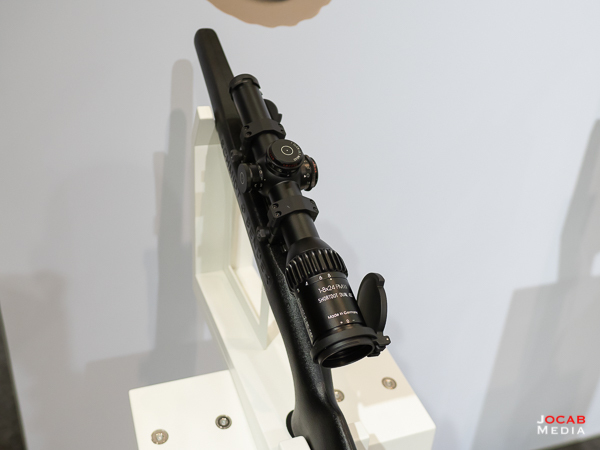 At maximum 8x magnification, there is an illuminated first focal plane mildot reticle. At 1x (no) magnification, there is a red dot (second focal plane). Furthermore, the illumination of the mildot reticle and the red dot (dubbed FlashDot by S&B) can be controlled independently. The versatility of this scope is impressive, but unfortunately the 1-8×24 PM II ShortDot Dual CC has the price tag to correspond to it. The Schmidt and Bender 1-8×24 PM II ShortDot Dual CC variants start at $4200 USD. There is no doubt that Schmidt and Bender makes excellent glass, but given that there are many other solid options out there at price points more than half the cost of the 1-8×24 PM II ShortDot Dual CC, this is a hard sell for most consumers. I also stopped by the Holosun booth to get a closer look at the 507C which is all the rage right now. The Holosun 507C is a micro red dot optic with the exact same footprint as the Trijicon RMR, meaning that you can install this on any slide that is milled for the RMR. The word of mouth reviews on the 507C has been very good, but the 507C has been nearly impossible to get. In speaking with the Holosun representatives, they are ready to ramp up production after working out a few bugs in the initial run. They anticipate they will be able to meet demand by mid-2019. Note that there is also a 508T which I neglected to get a photo of, but it is essentially a 507C with a titanium body. 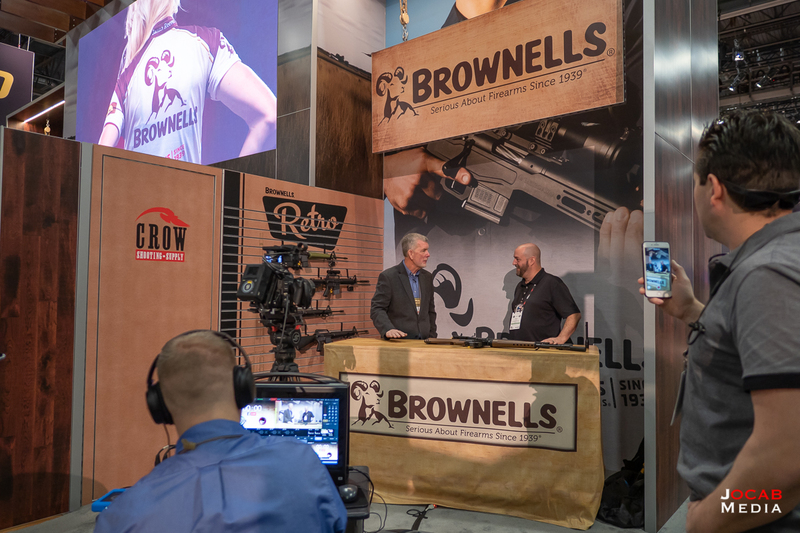 There are plenty of celebrity appearances across the spectrum of the shooting industry as you saw in 2019 SHOT Show AAR Part 1 with the Larry Vickers book signing. 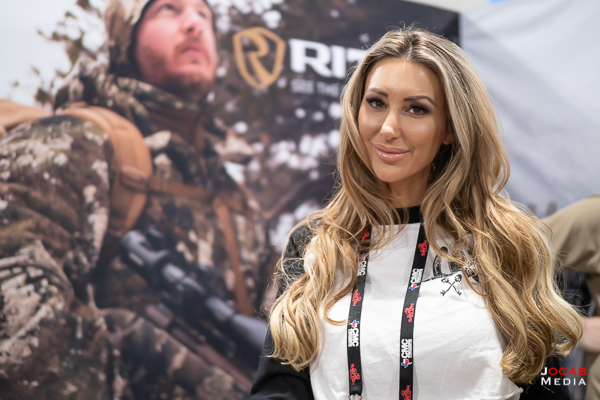 One Second Amendment supporter that appeared was Jamie Villamor at the Riton Optics booth. Jamie Villamor is a shooter and model who does a lot of promoting for the shooting sports. 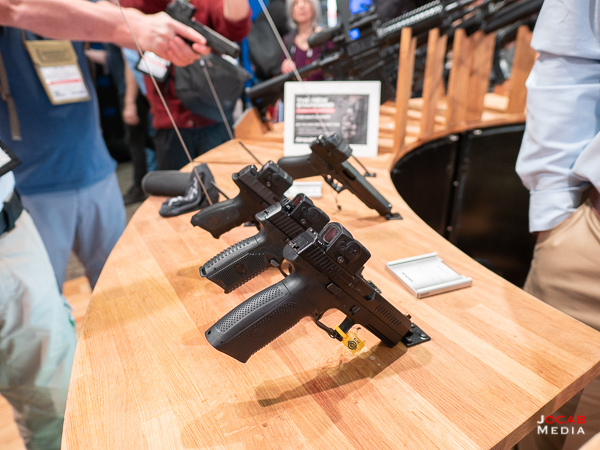 That wraps up Part 3 of my SHOT Show After Action Report. 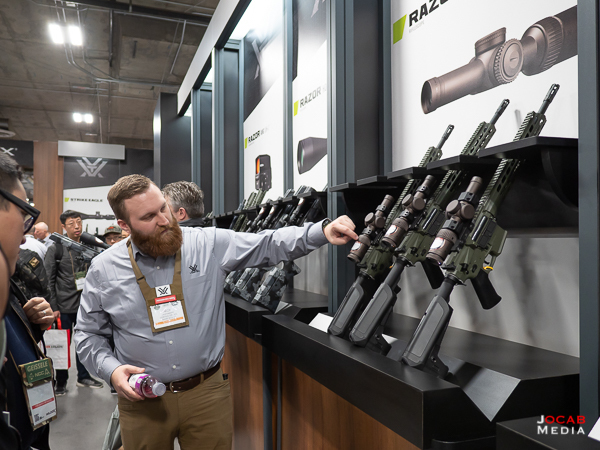 To read Part 4 or any other parts of my 2019 SHOT Show After Action Report, refer to the 2019 SHOT Show After Action Report index page (Part 0).